Authorities try to intimidate preacher into resigning. JUBA, South Sudan (Morning Star News) – Sudanese authorities arrested a pastor in Omdurman as he was preaching on Sunday (Feb. 23) and threatened that he would “face justice” unless he resigned his position, sources said. Personnel from the Criminal Investigation Department entered the compound of Omdurman Evangelical Church and arrested the Rev. Yahya Abdelrahim Nalu as part of a government plan to take over properties of the church’s denomination, the Sudan Presbyterian Evangelical Church (SPEC), the sources said. Omdurman is opposite Khartoum on the River Nile. The Federal Ministry of Guidance and Religious Endowments seeks to replace Nalu, senior leader at the church and moderator of the SPEC Synod, with a government-appointed committee that favors turning SPEC properties over to the government, they said. Authorities held him at the Central Khartoum Police Station for two days, until midnight Monday night (Feb. 24). Though the government attempt to seize church property is a civil matter, officials sent the criminal investigators to take Nalu into custody and treated the pastor as if he were a criminal, sources said. “They arrested me in a very shameful way and threw me in the car,” Nalu, a native of South Kordofan State’s Nuba Mountains, told Morning Star News. Authorities told him that if he did not relinquish his position to the government-appointed committee, he would “face justice” in court, sources said; it was unclear if the threat of legal action to obtain church properties included concocting a criminal charge against the pastor. The director of church affairs in the Ministry of Guidance and Religious Endowments declined to answer calls from Morning Star News. SPEC owns properties in strategic places in central Khartoum, Khartoum North and Omdurman. Through the Ministry of Guidance and Religious Endowments, the government seeks full control of SPEC assets by imposing a church leadership loyal to their policies, the sources said. “They have arrested our pastor without due respect to us as a congregation,” one source said. On June 25, 2013, plain-clothes police officials raided the offices of the SPEC in Omdurman in what church leaders called a bid to take over the property. Without permission from government authorities, the officers entered the church compound and chased SPEC pastors and others out of the offices, a Christian leader said. In apparent interference in church affairs, the officers said they had sided with some church officials in an administrative dispute and therefore were ordering church leaders to leave the premises or face arrest, said the Christian leader, who requested anonymity. The government is trying to divide the leadership by becoming involved with administrative disputes within SPEC so that it can take control of the property, he said. A government official had denied the government was trying to divide the leadership, saying the Ministry of Guidance and Religious Endowments was not favoring one side or the other in the disputes, but admitted the government had inserted itself into church affairs. 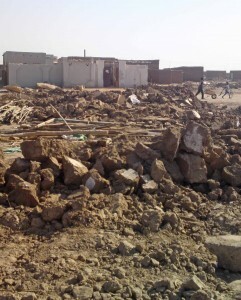 Since April 2012, a SPEC compound in Khartoum has been subject to attempted takeovers and attacks by Islamic extremists. 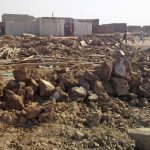 Following the secession of South Sudan in July 2011, Sudan since 2012 has bulldozed church buildings on the pretext that they belonged to South Sudanese, and on Feb. 17 it demolished another. 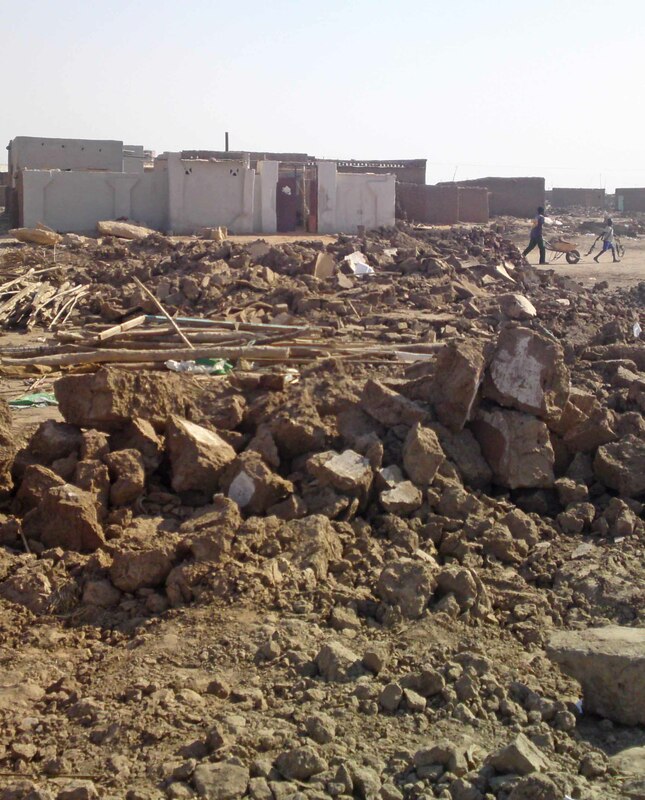 Bulldozers accompanied by local police and personnel from the National Intelligence and Security Services destroyed the Sudanese Church of Christ building in the Ombada area of Omdurman without prior notice, sources said. Harassment, arrests and persecution of Christians have intensified since secession, when President Omar al-Bashir vowed to adopt a stricter version of sharia (Islamic law) and recognize only Islamic culture and the Arabic language. Besides raiding Christian bookstores and arresting Christians, authorities threatened to kill South Sudanese Christians who do not leave or cooperate with them in their effort to find other Christians (see Morning Star News, July 12, 2013). USCIRF noted the crackdown in a statement last year. South Sudanese lost citizenship in Sudan and were ordered to leave by March 1, 2012, but thousands have been stranded in the north due to job loss, poverty, transportation limitations and ethnic and tribal conflict in South Sudan. South Sudanese Christians in Sudan have faced increased hostilities due to their ethnic origins – though thousands have little or no ties to South Sudan – as well as their faith.